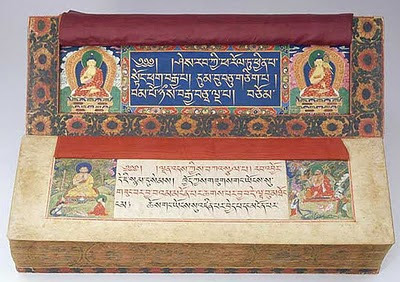 no suffering, cause of suffering, cessation, path, no wisdom, and no attainment. 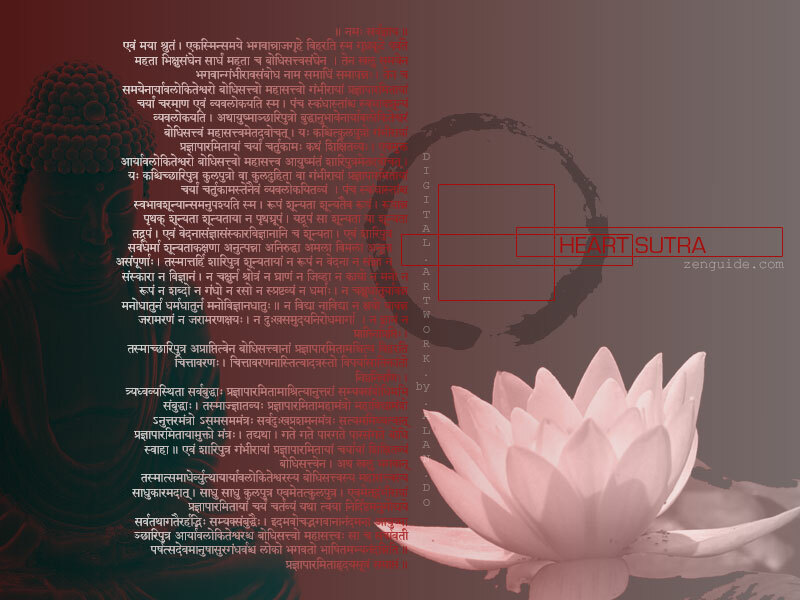 Therefore set forth the Prajna Paramita mantra. 本人所貼出之英語 "心經 "其翻譯者:Mr.Yamada Kuon及Mr. Robert Aitken兩人實為精心傑作,用詞簡潔,流蜴,清晰,易明,與其他比較,稍覺其他有纍絮,冗長之感,不知閣下意見如何? Namaste ! Prajna-Drsti Avuso ! Namo Bhagavat Amitabha Buddhaya Sarva Sarva Svaha ! 南無 簿伽梵 阿彌陀佛 薩婆 薩婆 娑婆訶! 頂禮 ! 世尊 無量光佛 一切 一切 成就所願! Namo Maha Vairocana Tadaghata ! 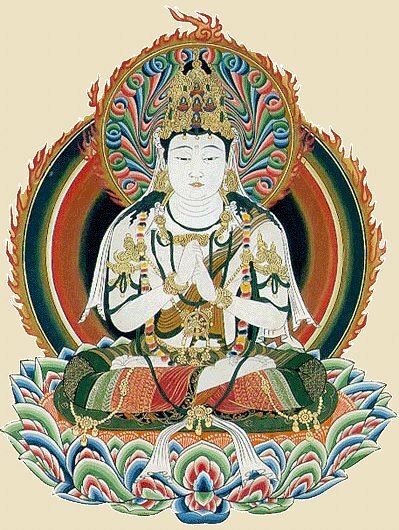 毗盧遮那 ( VAIROCANA／वैरोचन ),即釋迦牟尼佛是也 ! 君之所言, 殊勝微妙, 如入定中得妙法, 如出定中雨蓮華 ! [kjv] In the beginning was the Word, and the Word was with God, and the Word was God. [bbe] From the first he was the Word, and the Word was in relation with God and was God. [kjv] The same was in the beginning with God. [bbe] This Word was from the first in relation with God. Matthieu Ricardo trained as a molecular biologist, working in the lab of a Nobel prize--winning scientist, but when he read some Buddhist philosophy, he became drawn to Buddhism. Eventually he left his life in science to study with Tibetan teachers, and he is now a Buddhist monk and translator for the Dalai Lama, living in the Shechen monastery near Kathmandu in ffice:smarttags" /><?xml:namespace prefix = st1 ns = "urn:schemas-microsoft-com<img src=" />Nepal. Trinh Thuan was born into a Buddhist family in Vietnam but became intrigued by the explosion of discoveries in astronomy during the 1960s. He made his way to the prestigious California Institute of Technology to study with some of the biggest names in the field and is now an acclaimed astrophysicist and specialist on how the galaxies formed. 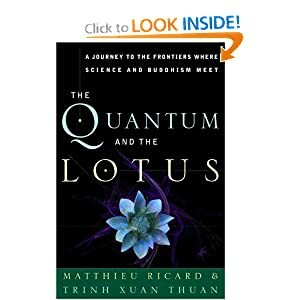 When Matthieu Ricard and Trinh Thuan met at an academic conference in the summer of 1997, they began discussing the many remarkable connections between the teachings of Buddhism and the findings of recent science. That conversation grew into an astonishing correspondence exploring a series of fascinating questions. Did the universe have a beginning? Or is our universe one in a series of infinite universes with no end and no beginning? Is the concept of a beginning of time fundamentally flawed? Might our perception of time in fact be an illusion, a phenomenon created in our brains that has no ultimate reality? Is the stunning fine-tuning of the universe, which has produced just the right conditions for life to evolve, a sign that a "principle of creation" is at work in our world? If such a principle of creation undergirds the workings of the universe, what does that tell us about whether or not there is a divine Creator? How does the radical interpretation of reality offered byquantum physics conform to and yet differ from the Buddhist conception of reality? What is consciousness and how did it evolve? Can consciousness exist apart from a brain generating it? GMT+8, 2019-4-21 04:13 , Processed in 15.474599 second(s), 26 queries .